The DAR Museum is the home to more than 130 fascinating portraits. The lives and legacies of many Americans, both famous and not-so-famous are told through these likenesses. The earliest portrait dates to the 1750s while more recent ones are from the first decades of the 20th century. Works by well-known artists include John Singleton Copley, Rembrandt Peale, Thomas Sully, and Ralph E. W. Earl. Lesser-known artists include Ruth Henshaw Bascom, Katherine Chipman, and Christian Gullager. Portraits are the windows into the lives of everyday people. Take for example William Smith Jewett’s painting of Minnie. Little is known about Minnie other than that she and her brother moved to the region around the time of the 1848 Gold Rush. According to letters between the artist and his sister, Jewett had a romantic relationship with Minnie. However, this relationship would not last. In the same letter, Jewett writes that his efforts to court her are regularly thwarted by Minnie’s brother. When leaving California in 1869, Jewett was documented as having few possessions. This portrait of Minnie was one of those few possessions that made the return trip to New York. While some of the portraits provide great insight into the lives of individuals there are others that leave many questions unanswered. The likeness of Mary Lisle Gamble is one such piece. 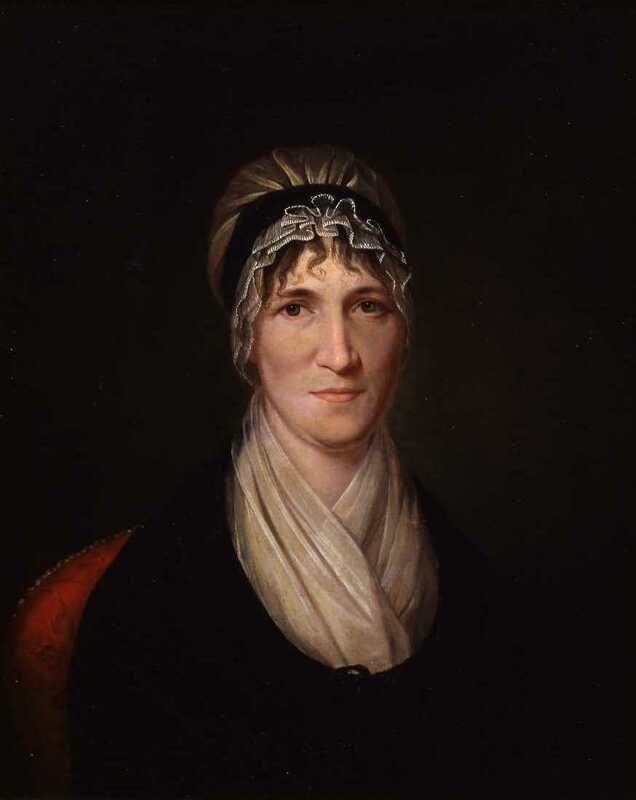 Since it came to the DAR Museum in 1959 this painting has been attributed to four different artists: Gilbert Stuart, Thomas Sully, Charles Willson Peale, and James Peale. 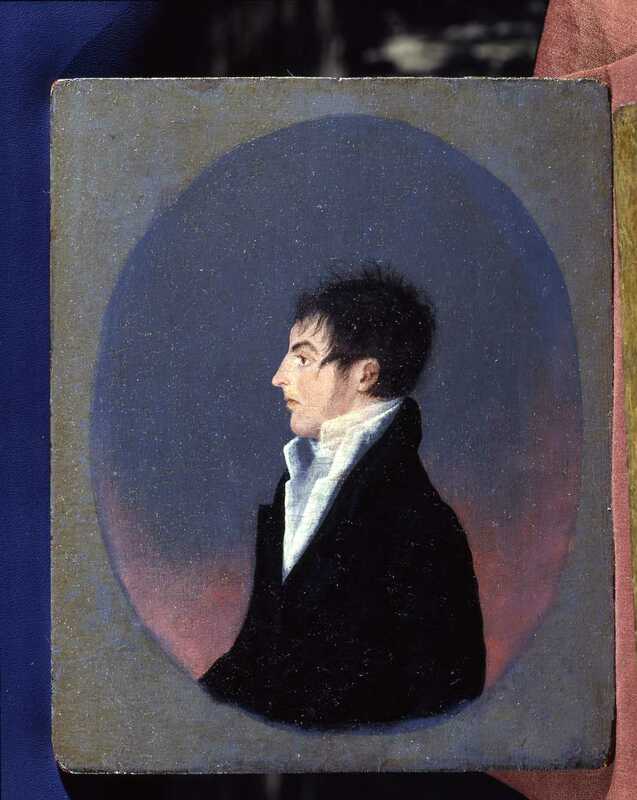 Based on its style, the portrait is likely by one of the Peale brothers, but which one is still undetermined. Its quality fits within the scope of works by both Peales. Certain stylistic characteristics suggest that it was James. Notably, that the painting is executed on paper that was then attached to a canvas. While the elder Charles Willson Peale was known to be experimenting with these materials during the first quarter of the 19th century, it lacks any signature found on most all of his other works. These questions are representative of the ones that come with the many unidentified sitters and artists in the collection. Through careful research, we will learn the names that go with some of these faces and will be able to give credit to the artists that composed them. Over the summer, museum intern Delia Titzell was hard at work updating portrait records and photographs. Today, you can learn more about these and other portraits in the museum by searching the collection online. Here you will find more detailed records for each portrait and accompanying high-resolution images. #TBT 125 years ago, on April 19, 1894, the Sequoia Chapter in San Francisco, California, planted a �... 19 hours 45 min ago.